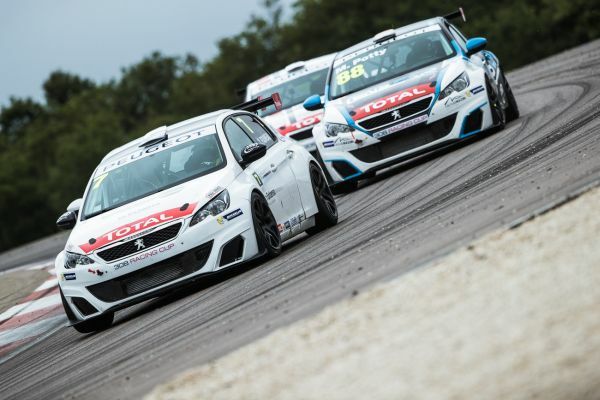 The 2017 Peugeot 308 Racing Cup is poised for a weekendof exceptional action as it crosses the French border for the only time this season to visit Belgium’s Spa Francorchamps. In addition to taking place at one of the world’s finest circuits, the competition’s seventh and eighth races will serve as curtain-raisers to the legendary 24 Hours of Spa. • Over the years, this fast, selective and picturesque circuit has provided the backdrop to some of motor racing’s most glorious moments. • After claiming victories at all the circuits visited since the start of the season, Julien Briché (JSB Compétition) tops the provisional order with a cushion of 25 points, which is more than the score awarded for a single race win (22 points). “After a great start to the season, this weekend takes drivers and teams to the place where the 308 Racing Cup made its first public appearance. This time round, a grid of 19 Peugeots, including three driven by Belgians who are registered for the Cup, will contest two curtain-raiser races ahead of the famous 24 Hours of Spa. • It was a little more than a year ago that the 308 Racing Cup made its first public appearance within the framework of the TCR International Series clash at Spa Francorchamps as part of its development programme. This time, a field of 19 cars will be at the Belgian venue for the weekend’s two races. For the 308 Racing Cup drivers themselves, this one-off trip outside of France will allow them to enjoy the unique atmosphere of the 24 Hours of Spa, a classic that Peugeot has won three times: in 1926 (with a 174S) and, more recently, in 1999 and 2000 (306 GTi). 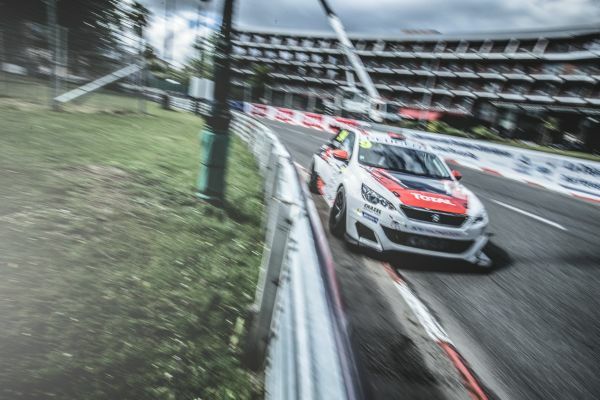 • Aged just 17, Maxime Potty will be on home soil at Spa Francorchamps where he has already raced this season within the framework of the TCR International Series. The meeting will also be a highlight of the season for fellow Belgian Matthieu de Robiano (DRM by GPA Racing), while French passport holder Amaury Richard lives in French-speaking Belgium and is keen to claim his first top-three finish of the year. • Thanks to a consistent string of performances since the beginning of the campaign, Denis Gibaud (Milan Compétition) leads the Gentleman Driver classification on 11 points. At Spa, he will face opposition from Christian Jaquillard (JSB Compétition), who collected three points at Dijon, and Thierry Boyer who returns to the 308 Racing Cup grid after getting an early taste of the series at Nogaro. Matthieu de Robiano et DRM Motorsport prêts à bondir en Peugeot 308 Racing Cup ! Simon Moulton scores his first win !